Royal Melbourne Show, 2014 Zipper! 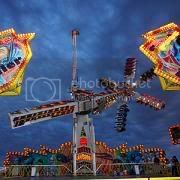 Re: Royal Melbourne Show, 2014 Zipper! I wonder which Zipper is going? anyone who knows please reply. Great news! should be lots of fun, although I'm not sure if I'm keen on much else going. I would never have guessed Zipper would return, next up TURBO then HURRICANE PIRATE ENTERPRISE and RAINBOW, can't wait! we don't have a travelling ENTERPRISE anymore... it's still in China, probably rusted to sh**. Just returned back from this years RMS. Zipper was just incredible, as expected. They had an unlimited ride offer / deal on the Zipper for $20. I thought about it but I didn't go for this option, age has a lot to answer for! I rode it just once....it deserves a perfect 10/10. It was running really well. My ride was no less than insane from the moment I was loaded in. I lost count on the number of flips as the cage hardly stopped once it got going. I think if you can handle one ride on the Zipper, all the other other rides start to seem a little lame in comparison. Apart from the Zipper, there were no other really big differences to the carnival layout from previous years. Everything else was about the same, more or less anyway. Anyone else been down for a look yet? when i heard the news zipper was back at the RMS after such a long absence i decided i would go for the first time in god knows how many years, 20 for parking and 80 worth of entry tickets and then to find the zipper was closed!! whats weird is it had all its lights on but just closed (well from 5pm till close anyway. Has it broken down and been removed from site? My daughter went yesterday with some other family members and they said they could not find it. I've not ventured back since last week but I'm hoping it's still there as I was planning one final visit since you never know when it will be at the RMS again. I'm keen to know if it's there too. Seems odd it would be taken off ground. I'll go back if it's there still. Fingers crossed. Please post here if you know more. I just can't believe this. I knew it was all too good to be true. Zipper is the best ride full stop. Guess I was lucky to ride it when it WAS there. I cant see any reason for it to leave half way through the show like that. Seems very odd to me and I and others would like to know why Zipper is gone all of a sudden. Some people I know purchased muti day passes which were to be used up and now they are not interested in going back as the Zipper was the only reason to go more than once to the show this year. I was really looking forward to go one more time, NOT anymore. Zipper was closed on the 5th night of the show, WorkCover were at Shorts non-stop to put extra padding inside the cages (Not sure why, as I had a ridiculously intense ride, continuous flipping the entire ride, and I didn't hurt myself). On the 6th day the ride remained closed, and we were told that it was to be packed up that evening. Morning of the 7th day, and the ride was nowhere to be seen. Thanks WorkCover for being such pieces of sh**! So lets understand, ONE rider who rode at their own risk, on clearly a very intense ride complained they were hurt? How many other riders were there that were not at all injured in comparison to that one rider? Did WorkCover even consider this? Let me set this straight, the Zipper is a very safe ride! The only reason people get thrown around on the ride is that they are pathetic individuals who scream and laugh like hyenas, they let go and wave their arms around yelling out stupid comments to their friends and are not paying attention. Some people lose their phone or money from their pockets and stupidly try to fetch them and LET GO and this is usually a recipe for an accident to happen. If you ride responsibly and secure all loose items it is impossible to be hurt, you would seriously have to be doing the wrong thing to be hurt honestly. The operators even instruct you how to ride safe and point out to every rider to hold tight on the grab bars tightly when you are let on. I think the rider who claims to be hurt must have not been holding on or let go as there is simply no other reason for anything to go wrong mid ride. Sadly, I believe that there were no true grounds to make the Zipper leave the Show like that after just one complaint. I really think the events of the Adelaide Show and Airmaxx 360 had a lot more to do with influencing WorkCover to ask the Zipper to pack up and leave. They were in fear of someone being hurt which is understandable considering what happened in Adelaide but they went a bit too far here in my opinion. They could have let Zipper complete it's stay at the show at least. I'd hate to think how much in loss of income this has impacted on Shorts Amusements. I hope they bring it back next year, fingers are crossed. edit: Just a thought. I noticed the Sizzler was there and had a lot of riders, some of which no doubt obtained a sore neck from riding. Or what about someone riding Break Dance and throwing up from the constant spinning around? Would WorkCover insist the Sizzler or Break Dance leave the show if one person complained about a sore neck or an upset stomach? I doubt it, so why should the Zipper and someone with a sore head from riding be any different? You would have be to be so bloody stupid to not realise the Zipper is an intense ride before riding and you are riding at your own risk, so no complaining if you feel sick or had a rough time on it. Just get over it, step aside and let proper riders who enjoy the rides enjoy them for what they are. There were a few SMART people in front of me in line who did just this, they stepped out from the line after watching the Zipper and realising they were not up to riding such a ride. Like i'd said earlier, me and a friend who was also working at the show went on it, and it was possibly the most intense experience ive had on a ride EVER! (Break Dance in Belgium, coming a close second) and even after it, as much as it kicked the sh** outta me, I couldn't wait to go on again! Zipper is one of those all time classics that still pack more of a punch than any of the hi-tech machines of today. I think there is enough warning in place to inform riders that this ride is WILD!! Perhaps Shorts should have an option when you buy your tickets if you would like to be wrapped from head to toe in bubble wrap for a charge of $10 to prevent the sugar babies from bruising a finger or smashing your face if you choose to not hold on to the grab bars as advised.